Thoughts – Page 2 – Go Blondie! 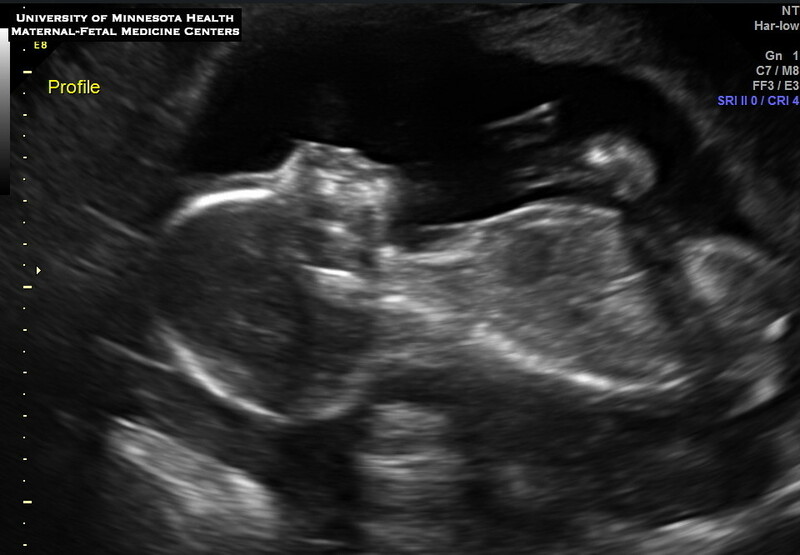 Based on the consult I had back at the end of 2015, the specialist from the U of M OB’s and my autoimmune specialist said that I would be considered a high risk pregnancy because the baby is at risk for congenital heart block due to my positive SSA/SSB antibodies. During a certain timeframe during pregnancy baby would be at the highest risk for me to pass those antibodies; so he needs to be watched carefully. My care team consists of the OB’s from the U of M, the Pediatric Cardiologist team from Children’s and then my high-risk OB at my clinic. The U of M team and the Pediatric Cardiologist team are who set the plan for baby’s care. Needless to say, I have spent a lot of time at the doctors office. We are very fortunate that they are watching baby very closely. It does seem that when someone new looks at my chart and the recommendations, they are surprised at how often I am in the office. Since 16 weeks, baby has seen a doctor at least once a week and I have seen baby on an ultrasound. I have conflicted feelings about the frequency of the appointments- yes, we are grateful and it’s exciting, but every appointment I walk in to, I still hold my breath and hope everything is ok and have to wait for the doctors to tell us so. It makes me anxious, it is stressful and exciting all at the same time. There were times we would have to wait at minimum for an hour during an echocardiogram so they could get the right angle of baby’s heart to get the picture they want. It’s a little intense! This is quite the journey that we are embarking on. Here are a couple of photos from our fetal growth ultrasounds. 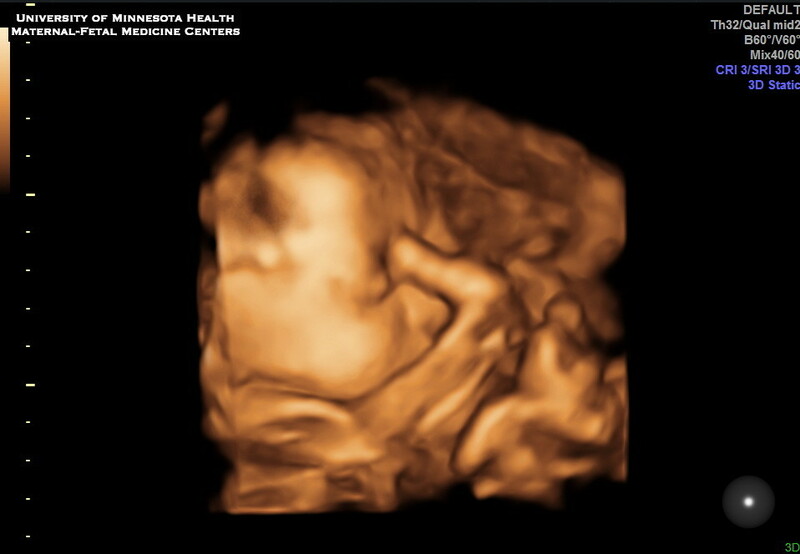 It is pretty crazy the technology they have so you can see babies! We had a September cookout with our families. That is when we decided to do our gender reveal of our little peanut and we used cupcakes with the colored buttercream filling. I connected with a local girl who bakes cupcakes and cakes and was fabulous. We had a fun afternoon, we did a cookout with our parents and siblings. We used the cupcakes as our “dessert”! It was so much fun to be able to share this moment with our families and have them be apart of it! My sister did a great job of keeping the secret. She worked with the baker to have the cupcakes made. This was rather emotional for me, because before, I had baby BUT know I am learning that it is a boy or girl that I have to raise, that’s a tall order! We had my little sister video tape the reveal so we could message it to family who couldn’t be there with us. Here are a few photos that were snapped by family. My sister made me cry before the reveal. This was actually really emotional for me. Arie had to be apart of it. The tally marks were right! We had our 8 week appt the beginning of June and our 12 week appt at the beginning of July. We kept it a secret from family and friends until we finished our 12 week appt. At the 12 week appt, I did the genetic testing to make sure that nothing was present that we didn’t know about it as I am adopted and don’t know my family history. After we got our results back, we asked the nurse to put them in an envelope so we wouldn’t know the gender and decided to do a gender reveal with our family in September. 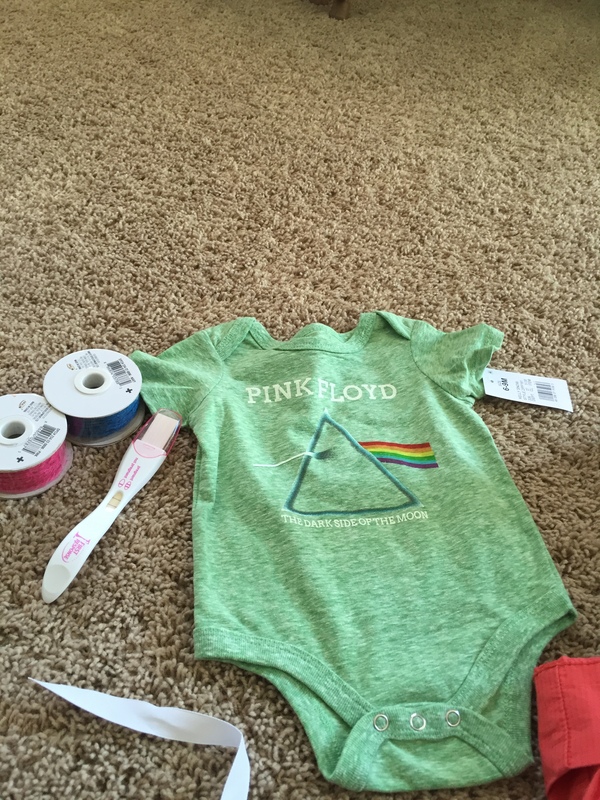 One of my sisters was bummed that we didn’t let her know sooner; so we decided to make her the keeper of the gender for the reveal. We decided to do the reveal with cupcakes. My sister had stayed at our house to watch Arie and we left the envelope for her and she left a gift for Carl. She said it was hard to open the envelope and actually know what the gender is and she had to keep a secret for a few weeks. There is a little peanut in there. I have shared the health stuff that I have encountered over the last few years. 5 years ago I was diagnosed with Celiac’s and more recently, 3 years ago I was diagnosed with Sjogren’s Syndrome. This causes dry mouth and dry eyes and can be accompanied by RA or Lupus. When I have flare-upsI have to go on a steroid and everything hurts, I get chest pains, dry sore throat, joint/nerve pain and inflammation. Last winter, I had asked my specialist if there is any risk if I were to get pregnant. He said because I have SSA+ and SSB+ which is the blood test that diagnosed me with the syndrome. The SSA and SSB can be transferred to the baby and put the baby at risk for congenital heart block. He also would consider me a high-risk pregnancy if I were to become pregnant. Also on top of it with Celiac’s you could have troubles getting pregnant in general. This made me nervous, scared and apprehensive. So back in May, when we had our housewarming party/Carl’s 30th party, which was a blast. However, that Sunday morning I had a feeling and also heartburn, which was probably from all the jello shots my brother made and the elk cheese dip my sister made. That Monday May 9th when I got home I took a pregnancy test and guess what? I texted my best friend a picture of the test who is also pregnant and asked her if they lie. She said, nope they don’t. When we got back, that Monday, 1 week later I took another test to be sure. It was also positive. 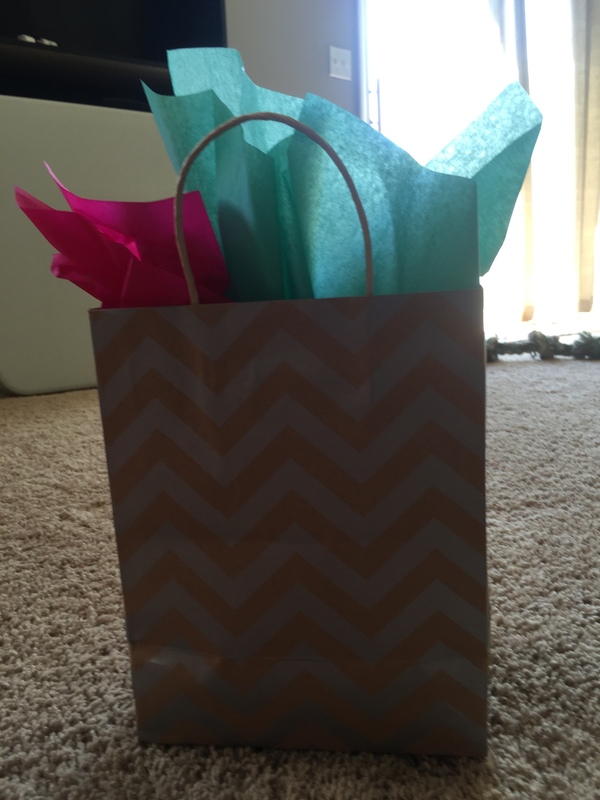 I decided to put a little present together for Carl and pretend it was a birthday gift someone left. I put to cute notes in there, the positive tests and a Pink Floyd onesie-one of his favorite groups and a bag of peanut M&M’s but I ate those. This was a major surprise to us because we were not sure what our fate was. We will discover that we have a long road ahead of us. We are beyond blessed with this miracle we were given! So here is our last painting project that we wanted to complete in the house. There are other little things here and there but all the painting projects are complete now! 🙂 I am sure Carl is relieved! The room had three walls of a light purple color and an accent wall of dark purple. I really didn’t care for the color. I preferred the repose gray we had in the rest of the house because it was fresh, clean and light. You can put any pop of color with it as an accent! The other nice thing about getting the master bedroom painted was we got new curtains and hung up some of our canvases that had been laying around! We moved into the house in the middle of January and we painted two weekends in February, two weekends in March, two weekends in April, one weekend in May and September. I am glad to have it done and now it is all clean and fresh with the paint we wanted. Paint makes a huge difference. A large thank you to Carl for being patient with me and painting everything! He’s a rockstar! A few weekends ago, we went to a local food truck festival. It was free to get in, there was live music, beer and food of course. I specifically wanted to go because of the Tot Boss-I tired the tots at the fair when I stopped and had to have them again. His truck had a continuous line of people wanting the tots. We tried a food truck that had delicious indian food and a truck that had kickin caribbean food. Here are a few photos I snapped. This was a fun day and something to do! I will definitely be keeping my eye open for these food trucks around town. Day 3 of being in Duluth allowed us to be more flexible with our time and not have to wait in lines! Thank You to our friend who let us stay with her while we were up there! It was fun to hang out and catch up! We had a fun weekend! In June this year, I bought tickets for us to go to the Duluth Tall Ships Festival, it had been a few years since the ships had been Up North, I really wanted tickets for the event in August. There were about 8 ships that came into the harbor. On Thursday, they had the Parade of Sails, where we got to see all the ships come into the harbor under the Aerial Lift Bridge with their sails open. We got down to the lift bridge around 10am and waited until about 3:00pm. It was a hot day, but towards the end, the weather was starting to change and a storm was rolling in. Some of the ships you could tour or sail on. I bought the fast pass tickets to be able to tour the ships. We got to tour 3 of the ships, one of ships was so popular that some people waited hours to see it-glad we had fast pass tickets! Here are a handful of photos. You couldn’t get a “great” photo as there was so many people, lightening and using a iPhone played a role. The Galeon was the popular spanish replica that everyone wanted to see. We did get to see all the ships and everything we wanted in Thursday and Friday. So Saturday was a free day for us to explore Duluth. Here a few recipes that we have made in the last month or so. This was chicken and lime soup. This was good, but to give more substance to the soup, I added rice. Carl did say, next time if I make it, I have to thicken the sauce a little more. It was fresh and light tasting. 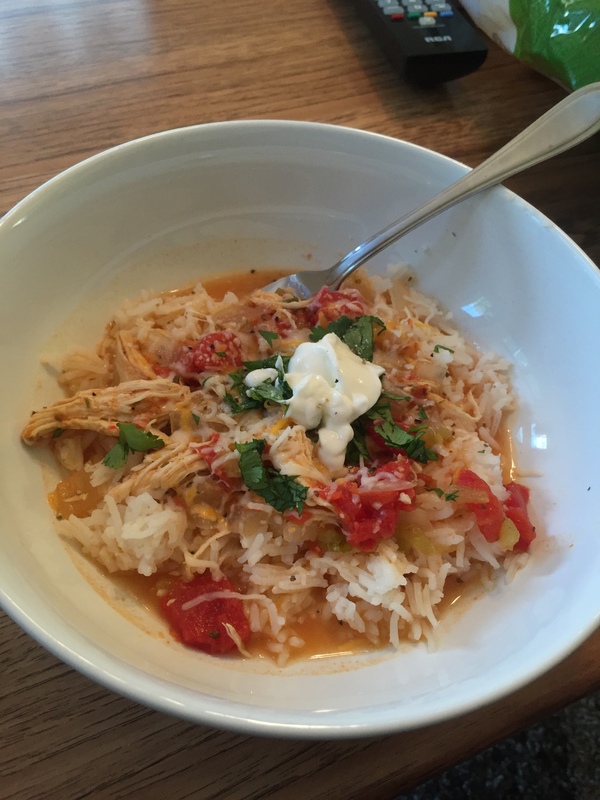 This recipe is from Budget Bytes, I love her blog, I have cooked other recipes from there before. Last week, I found this recipe on Pinterest. 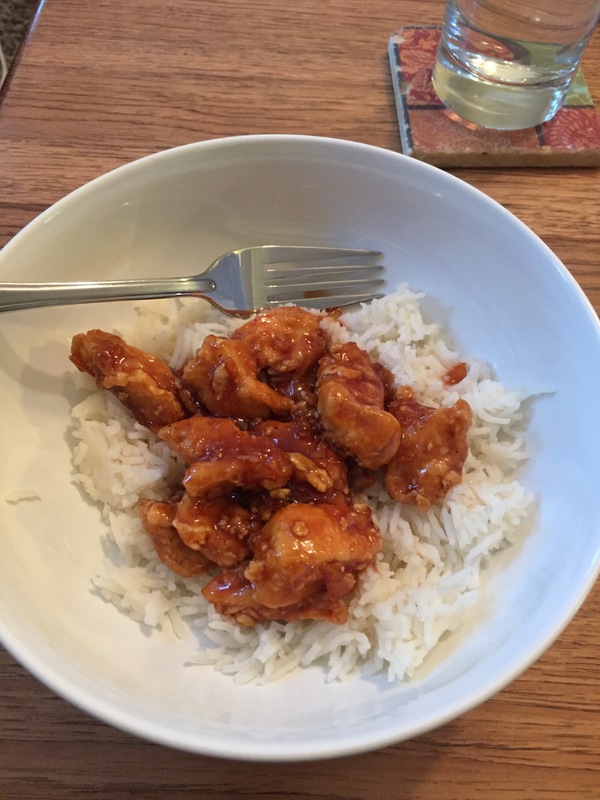 Carl really likes orange chicken, this was easy, made a lot and I made it gluten free. I liked that the sauce was only 3-ingredients. I did use the whole jar of orange marmalade, I didn’t want a strong BBQ sauce taste. This is from the Blog Crafty Morning, I haven’t cooked from there before. I had to share these photos from August when my family got together at my parents house up north! So all my sisters are amazing cooks and I love when they share that with us. 🙂 She made us homemade individual pizzas. They were good, she used roasted tomatoes, sausage, fresh goat and mozzarella cheese, fig spread and arugula! The last weekend of July, Carl and I went to Duluth-North Shore to snap a few photos. I am looking for photos to hang in the basement and possibly a 3-piece canvas upstairs in the kitchen. I mentioned going to the places where we did our First Look photos on our wedding. We got to Duluth early, we weren’t prepared for what we saw. I knew a few weeks before they had a big storm with at least 100mph winds. But when we got to the park where we started our photos. large trees where down so we didn’t get some of the photos we wanted. The first photo below shows the first spot we saw each other, there is a large tree down in the spot where we stood. We worked our way around Duluth and Lake Superior for the day! We had beautiful weather! Here are some of the cell phone photos I snapped. the good photos Carl took are on the laptop and my brother let us use his camera, which was awesome! Lester Park- where we did our wedding first look photos, almost two years ago. Brighton Beach is another spot where we did photos on our wedding day. I love being on the north shore. We had a beautiful day to hang out! There were lots of fishing boat charters going in and out. The big boat out in the water is the one we got married on. The walking bridge, we went under that on wedding day. I know if you follow my Blog, I have a handful of posts from Duluth-North Shore. I love going to the North Shore, It makes me so happy, relaxed and makes me forget the fast pace of life for a short period of time. I have so many childhood memories that I will never forget and it has become a great place that Carl and I have made memories. It really does have a special place in my heart! We are heading back to Duluth this week for the Tall Ships to sail in! Can’t wait!